One of the most exciting times in a teenager’s life is the day that they receive their driver’s license. Before receiving your New Mexico driver’s license, however, there are a number of tests that you must first pass. Studying for these tests can sometimes be difficult, especially if you’re not entirely sure what questions you will be quizzed on. That’s why, in today’s article on receiving your driver’s license, we will be talking about what tests you should be prepared to complete before exploring the open roads in the Land of Enchantment. MVD Express is New Mexico’s top resource for your daily driving needs. From daily VIN inspections and title transfers to receiving your motorcycle license, our 10 unique locations throughout New Mexico offer full-service hospitality in a timely and efficient manner. If you are interested in learning how you can set yourself up for success when it comes time to take your driver’s license tests, continue reading more on the subject below. If you have never attempted to receive your New Mexico driver’s license, you may be surprised if you come to MVD Express unprepared. 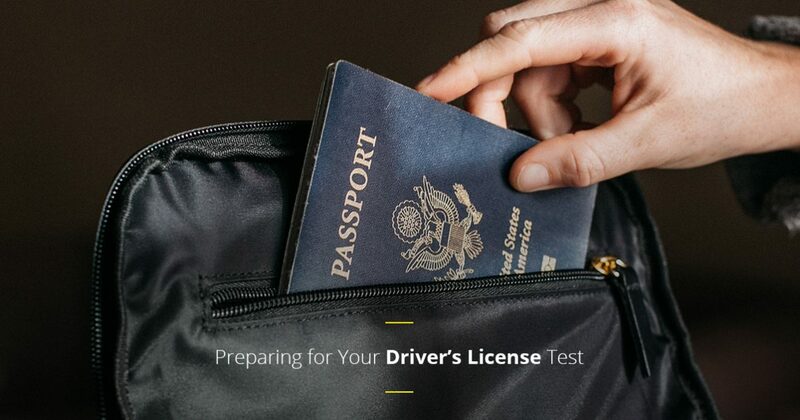 There are many different proofs of identity that you will be required to provide before you are able to take any of your driver’s license tests. Below are the four documents that you will need to present when visiting MVD Express. The first document that you will need to present to an MVD representative is proof of an identification number. There are several different types of acceptable documentation such as your Social Security Number or your W-2. While a proof of your identification number is just one of the many documents that you will need to receive your driver’s license, you will also be required to present one proof of identity and age. These are most commonly presented in the form of a birth certificate or a U.S. Passport. Lastly, before you can receive your REAL ID, you must also present two proofs of physical residency. Documents such as an insurance bill, a utility bill, or an employment pay stub are all acceptable proofs of residency. There are four tests that you will need to complete in order to receive your New Mexico driver’s license. You will begin by completing a simple eye test that will test your quality of eyesight. Next, you will be required to complete a written test that will effectively display your knowledge of common motor-vehicle laws. Once you have completed your written test, you will take a road test with one of our professional instructors who will assess your abilities on the road. Lastly, you will need to complete New Mexico’s DWI awareness program and show proof of completion to one of our friendly representatives. If you would like to schedule your driver’s license test at an MVD Express near you, don’t hesitate to contact one of our friendly team members today. We look forward to speaking with you!